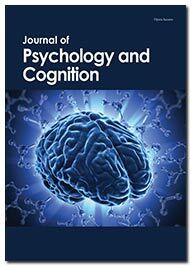 Journal of Psychology and Cognition is an open access, peer-reviewed journal with an acceptance rate of 25% and publishes theoretical, empirical and educational manuscripts which follows open access publication which is likely to attract more readers and citations to articles published covering all aspects of Psychology and Cognition. The journal coverage includes Artificial intelligence, Developmental psychology, Linguistics, Neurophysiology, Social psychology and advances in the study of attention, memory, language process, perception, problem solving, and thinking. Psychology and Cognition specializes in extensive articles that have a major impact on cognitive theory and provide new theoretical advances. The scope of the journal includes developmental psychology, neurophysiology, social psychology, memory and learning, problem solving, decision making, thinking, psycholinguistics, conceptual processes, skilled performance, including relevant studies in information processing, computer simulation, mathematical psychology, developmental psychology, and experimental social psychology. Submission of important articles containing advanced research output aiding in forwarding the subject are most welcome. The Journal is using Editor Manager System for easy online tracking and managing of the manuscript processing. To be acceptable for publication, an article should be positively considered by two reviewers followed by the Editor’s consent. IL-1β polymorphisms and its interaction with Nrg-1 on the risk of intellectual disability.